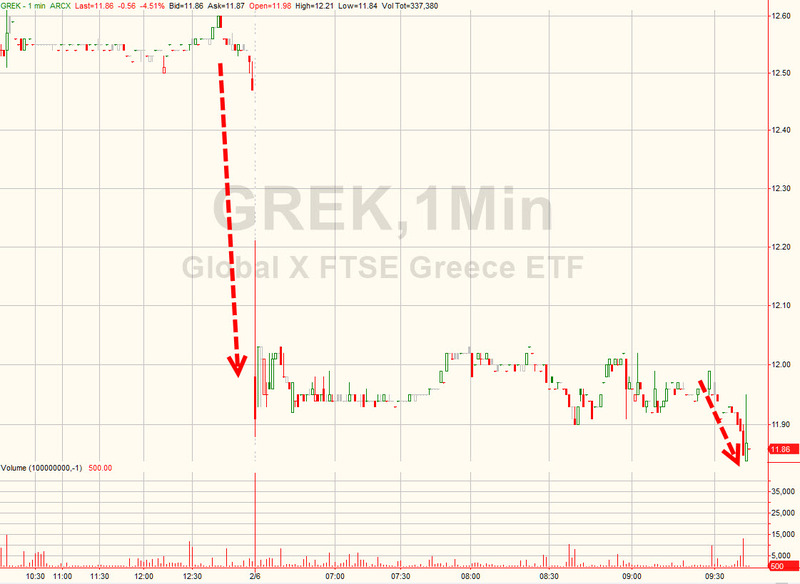 This downgrade comes just 5 months after upgrading Greece because “risks to fiscal consolidation in Greece have abated.” EURUSD is not moving much (having already cratered after US payrolls) but Greek stock ETFs are sliding once again. What is scariest, is that a day after we first noted the increasing whsipers of capital controls and bank runs, S&P itself mentions this! In our view, a prolongation of talks with official creditors could also lead to further pressure on financial stability in the form of deposit withdrawals and, in a worst-case scenario, the imposition of capital controls and a loss of access to lender-of-last-resort financing, potentially resulting in Greece’s exclusion from the Economic and Monetary Union. This means that now not only the ECB but the rating agencies are doing everything in their power to institute a Greek bank run in order to either make the government withdraw its demands, or, if that doesn’t work, lead to a new government. Standard & Poor’s Ratings Services upgraded its debt rating for Greece, citing progress in the nation’s fiscal reform efforts and its potential return to economic growth. The firm now puts its long-term sovereign credit rating for Greece at B – five notches into junk territory – up from B-minus. 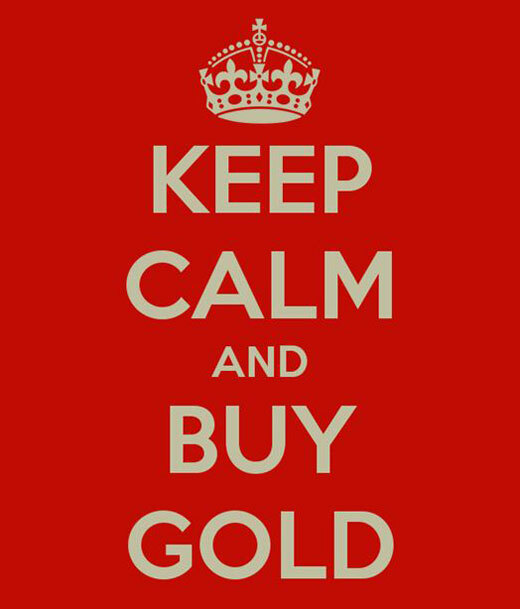 The outlook for the rating is stable, S&P added Friday. “The upgrade reflects our view that risks to fiscal consolidation in Greece have abated,” the firm said. S&P said it believes Greece will begin to emerge from seven straight years of economic shrinkage next year, calling the country’s recovery “gradual but weak.” The firm also said it thinks the country has enough funds to cover future bank recapitalizations. And now, time for S&P, which after the DOJ settlement has become nothing more than a political errand boy, to completely reverse everything it said because the Greek economy, which has been improving in the past 6 months if one is to believe the data, actually wasn’t improving at all. Liquidity constraints have narrowed the timeframe during which Greece’s new government can reach an agreement with its official creditors on a financing programme, in our view. We believe the potential uncertainties surrounding the timing and success of such an agreement risk exacerbating deposit outflows, depressing investment, and weakening tax compliance. As a result, we have lowered our long-term rating on Greece to ‘B-‘ from ‘B’. The long- and short-term ratings remain on CreditWatch negative. On Feb. 6, 2015, Standard & Poor’s Ratings Services lowered its long-term sovereign credit rating on the Hellenic Republic (Greece) to ‘B-‘ from ‘B’. The long- and short-term ratings on Greece remain on CreditWatch with negative implications. As defined in EU CRA Regulation 1060/2009 (EU CRA Regulation), the ratings on Greece are subject to certain publication restrictions set out in Art 8a of the EU CRA Regulation, including publication in accordance with a pre-established calendar (see “Calendar Of 2015 EMEA Sovereign, Regional, And Local Government Rating Publication Dates,” published Dec. 30, 2014). Under the EU CRA Regulation, deviations from the announced calendar are allowed only in limited circumstances and must be accompanied by a detailed explanation of the reasons for the deviation. In this case, the deviation has been caused by the European Central Bank’s decision to lift the waiver on the eligibility of Greek government and government-guaranteed bonds in Eurosystem operations and the absence so far of an agreement to extend Greece’s European Financial Stability Facility program beyond its expected expiration date on Feb. 28, 2015. The downgrade reflects our view that the liquidity constraints weighing on Greece’s banks and its economy have narrowed the timeframe during which the new government can reach an agreement on a financing programme with its official creditors: EU member states, the EFSF, the ECB, and the IMF. Although the newly elected Greek government has been in power for less than two weeks, we believe its limited cash buffers and approaching debt redemptions to official preferred creditors constrain its negotiating flexibility. In our view, a prolongation of talks with official creditors could also lead to further pressure on financial stability in the form of deposit withdrawals and, in a worst-case scenario, the imposition of capital controls and a loss of access to lender-of-last-resort financing, potentially resulting in Greece’s exclusion from the Economic and Monetary Union. On this issue, the Feb. 4 decision by the ECB to lift the waiver on the eligibility of Greek government and government-guaranteed bonds in Eurosystem operations has transferred the responsibility of lender-of-last-resort financing from the European Central Bank to the Bank of Greece, Greece’s national central bank, via its Emergency Liquidity Assistance (ELA) facility. It is our understanding that the Greek banks will be able to switch their current ECB funding toward ELA facilities, though the continuity and level of ELA financing to Greek banks–including the acceptability of Greek government Treasury Bills–remains subject to ECB approval. We would expect the ECB to curtail the liquidity provision to the Greek banking system (and, therefore, to its economy) if the two-month technical extension of the EFSF programme is not extended beyond its current expiration date of Feb. 28, 2015. In its Feb. 4 press release announcing the suspension of Greek collateral eligibility, the ECB stated that “it is currently not possible to assume a successful conclusion of the programme review.” We see the uncertainties connected to the provision of liquidity to Greek banks as potentially exacerbating deposit outflows, depressing investment, and weakening tax compliance, which are already deteriorating Greece’s economic and fiscal profile. In Greece’s case, we do not consider the ratio of general government debt to GDP to be the sole metric for assessing the sustainability of public debt. Although this ratio was a very high 178% at year-end 2014, other features of Greece’s public debt profile are less onerous, in our view. These include its unusually long debt maturities–16.5 years for the total stock and 30 years on official bilateral and EFSF financing–and the very low effective interest rate. Including concessional interest rates, Eurosystem retroceded interest earnings, and the interest rate grace period on official debt, we estimate Greece’s general government interest to GDP at year-end 2014 at less than 3% of GDP. We would also note that our sovereign ratings pertain to a central government’s ability and willingness to service financial obligations to commercial creditors, which in Greece’s case hold an estimated 17% of the sovereign’s debt stock excluding ECB and other official creditor holdings of bonded debt. Debt redemptions owed to the private sector this year and next total EUR510 million and EUR1,090 million, equivalent to 0.3% and 0.6% of GDP respectively, well below redemptions owed to official creditors. The Greek government has repeatedly committed itself not to involve private-sector creditors in any further debt re-profiling. We aim to update or resolve the CreditWatch status of the rating by the next scheduled publication date for Greece, which is on March 13, 2015. At that time, we could maintain the ratings on CreditWatch or we could remove them from CreditWatch after affirming them or lowering them again. We could affirm our ratings on Greece if we anticipate that the government’s negotiations with official creditors will conclude, with sufficient official funding flows to meet financial obligations. 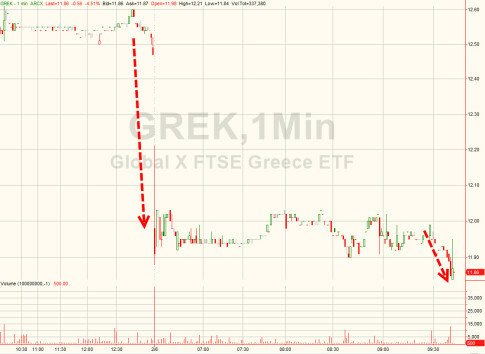 Conversely, we could lower our ratings on Greece if we perceive that the likelihood of a distressed exchange of Greece’s commercial debt has increased further because official funding has been curtailed, government borrowing requirements have deteriorated beyond our expectations, or Greece’s external financing has come under greater stress.